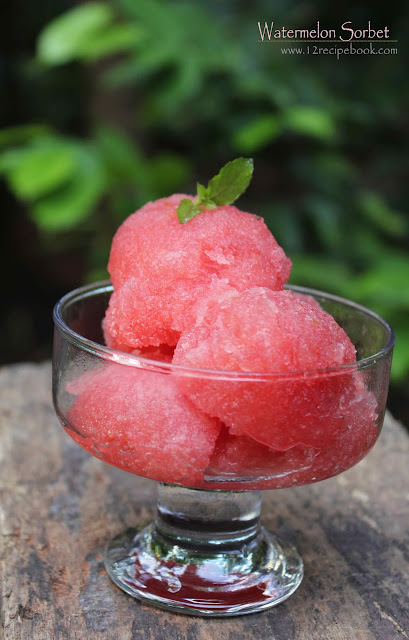 Watermelon sorbet is a lovely frozen dessert and a perfect way to keep your leftover watermelon. 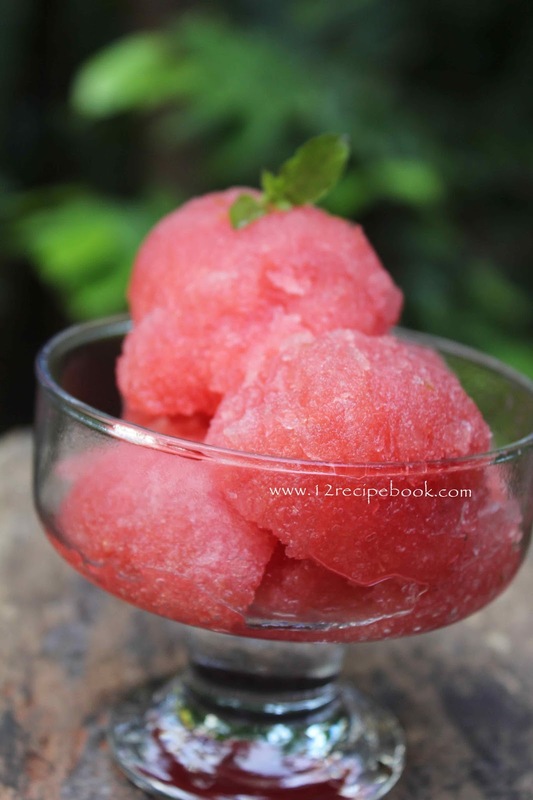 You can make them sorbets and scoop it out whenever needed. Eat them as a frozen dessert or juice it by mixing with water or milk. Cook sugar by adding water and lemon juice. Boil it for about 5 minutes and switch off the flame. Allow to cools down completely. Puree the watermelon in a blender until smooth. Mix it with sugar syrup. Pour in to an air tight container and freeze overnight. Keep it out from the freezer before 5 minutes of scooping.